The current nationwide scarcity of refined petroleum products has reached a crisis point with a litre of petrol selling for between N200 and N600 in many parts of the country, while diesel, household kerosene and liquefied natural gas have also become elusive. Also, with power generation dropping to an all-time low of 1,327 megawatts, most Nigerian households are now living without electricity as they have also run out of fuel to power their generators. Even before the dip in power generation, most Nigerian households have been relying on generators as the main source of their power supply while using the public power supply as a backup. However, the fuel shortages which started over a week ago, have made it impossible for households to even get fuel to power their generators. Although, daily fuel consumption nationwide is about 40 million litres per day, it is estimated that a sizeable proportion of the demand goes into fuelling of generators. “It is now impossible for me to get a four-litre fuel to run my small generator,” a man who was in the queue in one of the filling stations said on Sunday. Also, a resident of one of the upscale estates in Magodo, who identified himself as John Adebayo, told Punch that he had been unable to run his generator for three days because he could not get diesel to buy. “I have money to buy diesel but it is just not available anywhere. I can’t even pump water, it is really pathetic,”he lamented. Already, the situation has started affecting companies with some firms like MTN and Airtel saying that they could not get diesel to run generators at base stations. Unless urgent steps are taken by the Federal Government and all concerned stakeholders, many citizens will find it difficult to get to their various places of work and business as from today (Monday) due to the crippling scarcity of refined petroleum products occasioned by the refusal of marketers to import them and a strike by tanker drivers. 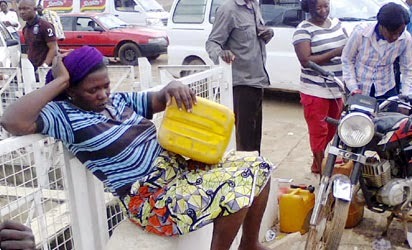 Base on report gathered on Sunday, petrol had dried up in almost all the filling stations nationwide, while black marketers capitalised on the prevailing scarcity by selling the product in jerry cans for between N200 and N600 per litre in places like Lagos, Ogun, Osun, Kaduna and Oyo states, as well as the Federal Capital Territory. The situation affected vehicular movements in many parts of Lagos and Ogun states on Sunday, with attendance at religious centres unusually low, while commercial transport operators raised their fares by over 300 per cent. All the filling stations owned by major oil marketers visited were under lock and key. Majority of the independent petroleum products marketers were also not selling petrol on Sunday. The very few independent marketers with petrol were selling the product for between N150 and N400 per litre, while black market dealers were selling for between N500 and N600 per litre in some of the stations visited. A motorist plying the Berger-Mowe route traversing Lagos and Ogun states, who simply identified himself as Ola, expressed disappointment with the slow response of the government to the problem, adding that with the situation on the ground, workers would have to part with a lot of money to get to their offices on Monday (today). A commercial transport operator in Ikorodu, Lagos, told Punch that he bought 30 litres of petrol for N12,000 instead of N2,610 at the regulated price of N87 per litre. It was gathered that virtually all the filling stations in Osun State had run out of petrol as of Sunday, thereby forcing the residents to stay indoors. A major petroleum products’ marketer said that the Federal Government had refused to meet them to resolve the lingering issues surrounding the payment of the subsidy arrears owed the marketers. The marketer, who pleaded anonymity, said since the last meeting they had with the Minister of Finance, Dr. Ngozi Okonjo-Iweala, on May 4, nothing had changed. The Executive Secretary, Major Oil Marketers Association of Nigeria, Mr. Thomas Olawore, said though the marketers had reached out to the President-elect, Muhammadu Buhari, on the lingering fuel supply problems, they had yet to get a positive response. He confirmed that the marketers were not importing petrol at the moment, because they did not have the wherewithal to do so. The spokesperson for the Department of Petroleum Resources, Mr. Saidu Muhammed, said the product scarcity was primarily due to the ongoing workers’ strike in the NNPC. He said, “Products are not coming out from the depots and there’s virtually nothing anybody can do for now. But hopefully, when they resolve the strike, things may become normal. Meanwhile, the Lagos Chamber of Commerce and Industry has noted with concern the current energy crisis facing the country, which it describes as unprecedented. In a statement signed by its President, Alhaji Remi Bello, the LCCI called on President Goodluck Johnathan to bring a halt to the imminent collapse of economic and social life in the country. Bello said, “There should be an immediate engagement of stakeholders in the petroleum industry to discuss the outstanding issues of indebtedness and related labour matters in the interest of the economy and the citizens. The situation should not be allowed to degenerate any further. 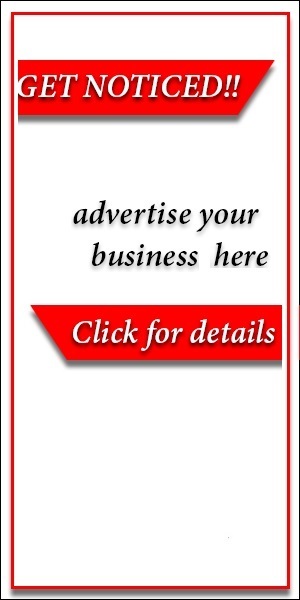 “The Lagos Chamber urges the incoming administration to immediately deregulate the oil and gas downstream sector on assumption of office in order to provide an enduring solution to the recurring problem of petroleum products’ scarcity, corruption inherent in the subsidy regime, the collapse of refineries, lack of investment in the downstream sector, loss of jobs and so on. Similarly, a Global System of Mobile communications provider, Airtel Networks Limited, said in a statement that its commitments to delivering best-in-class quality of service and seamless telephony experience to all Nigerians was being affected by its inability to procure diesel for its base stations. The company stated, “While we are currently doing everything within our means as well as going the extra mile to ensure that all our base stations and switches are up and running, it is sad to note that it is becoming increasingly difficult to replenish current stock of diesel due to the lingering scarcity of the product. MTN Nigeria had issued a similar statement on Saturday. A faction of the Nigeria Labour Congress led by Mr. Joe Ajaero said on Sunday in Kaduna that the current fuel scarcity across the country was a war against Nigerians. It, therefore, warned that should the scarcity persist, organised labour would have no choice than to embark on an indefinite strike. This was contained in a statement by the factional Deputy President of the NLC, Alhaji Issa Aremu, which was made available to newsmen in Kaduna on Sunday.